I have noticed lately that I’ve been getting a surge of traffic from Pinterest, and a lot of readers are clicking on my old DIY posts. I am not going to lie, I missed creating random quirky recipes from ingredients readily available from my kitchen cabinet. Life got too busy and I had to take a break from my beauty kitchen. Slice the melt and pour soap base into chunks. If you’re using recycled soap, grate your pieces for easy melting and for every cup of recycled soap add ½ a cup of water. 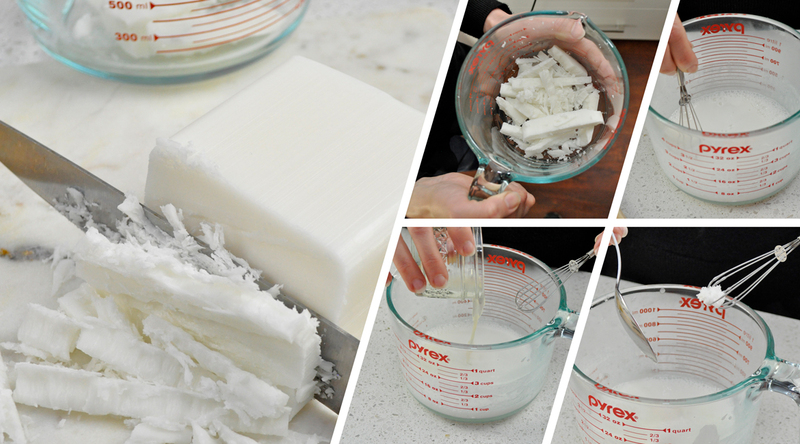 You can use a double boiler to melt the soap base, or heat for 30 seconds in the microwave. Be sure not to overheat your soap. Remove melted soap from heat and pour the coconut oil, lemon juice, essential oil, lavender buds and lemon zest then stir well. Stir in the granulated sugar and mix it fast until well combined. Have your mould ready because once the sugar is added to the mixture it will harden quickly. 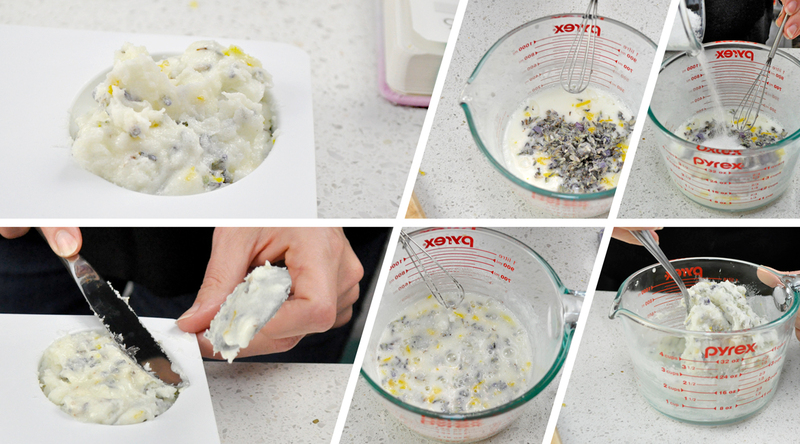 Spoon the mixture into the mould and press it down to compact it together. Place the mould in the fridge or freezer for at least one hour. 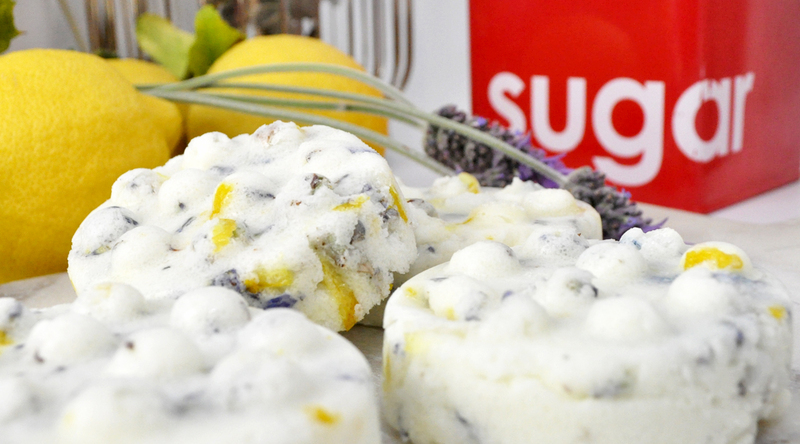 Store the sugar scrub cubes in an airtight container away from light and heat. They should keep for a few months. Note: You can replace the lemon zest, lavender buds and lemon juice with 10 drops of lemon essential oil or lavender oil. Please tag me in your posts if you make this recipe, I would love to see your work! 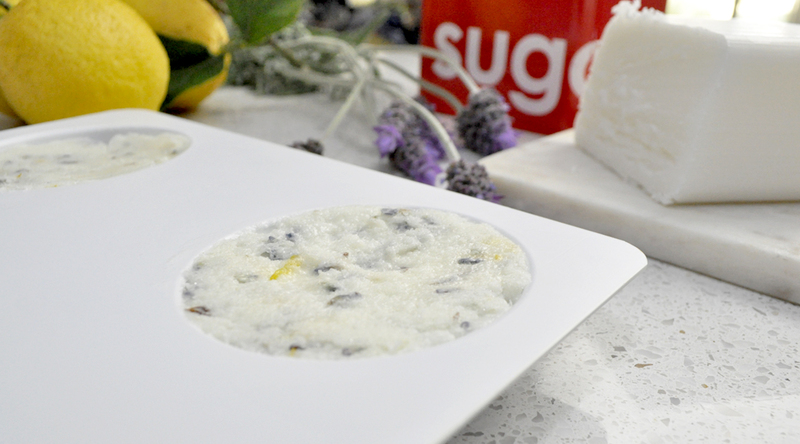 Have you made a homemade sugar scrub bar before? Would you like to see more of this type of content on my website? Let me know what you think when you make it. These look so fun to make and would make such a lovely holiday gift! They were easy and lots of fun to make. Great recipe! I love making diy bath/beauty products, so I’m glad to know you’ll be sharing more of these! Wow, I can feel the freshness just by reading the post ! These look like they have been professionally made! So nice! 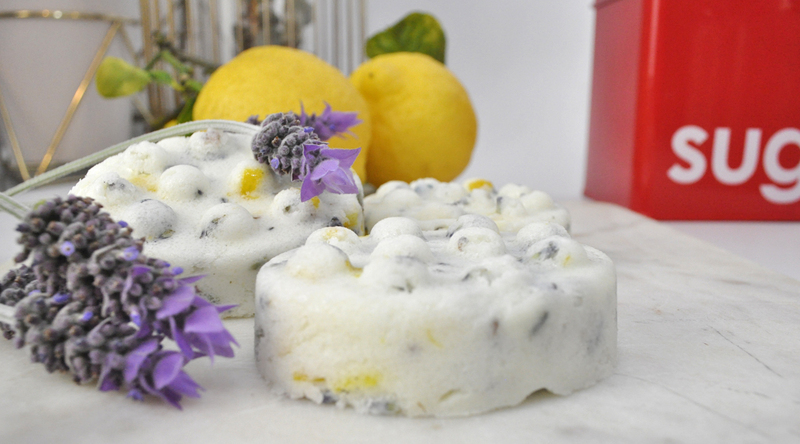 Lemon and lavender is a beautiful combo too. You’ve made it look so easy, and they look amazing! Such a great holiday activity, and a good gift idea this Christmas. Thanks for the wonderful feedback! 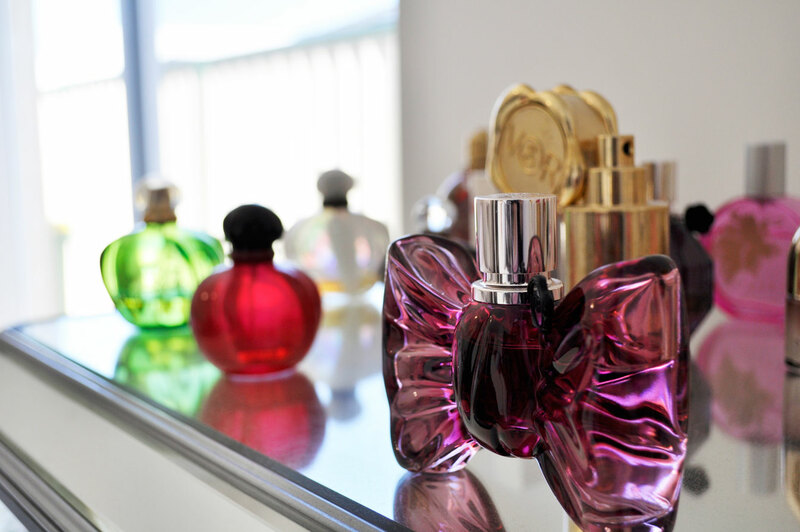 I might look into gifting some of these to my friends and family. This sounds like a fun DIY activity to try! 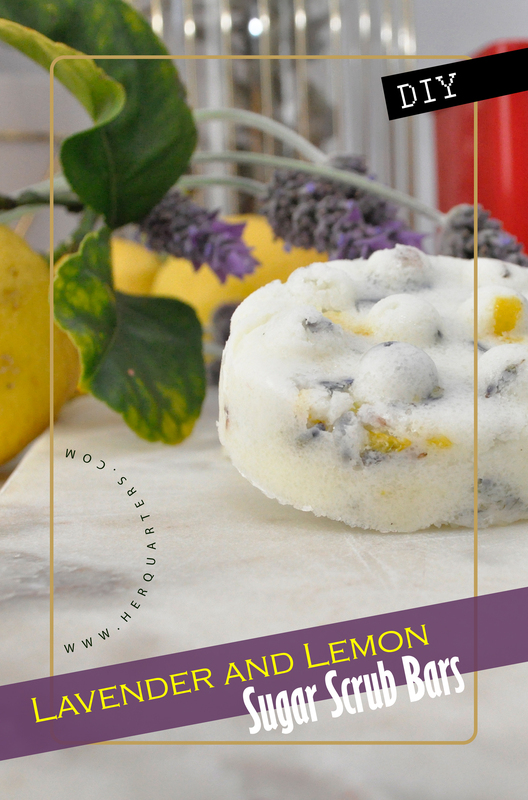 I love the combination of lemon and lavender together! These look great! It is such a great pairing! Oh this is amazing! This is such a great gift idea for the holidays! I want more DIY posts! Thanks Rochelle, I will try to make many more! This sounds lovely, Amy – perfect for Holiday gifts! Homemade DIY scrubs are my favorite.These look great. I love your DIYs so much I’m so happy that you’re inspired again. I cannot wait to get the ingredients for this! You are a true DIY queen! Your creativity and skill are off the charts. These look so awesome. A friend of mine likes soap-making. I will forward her this link. She’s going to love this!